1. What is critical infrastructure? Critical infrastructures are generally understood as facilities and services vital to the basic operations of a society. Sectors that are considered as “critical infrastructure” vary among different countries, but most would comprise: energy, water, food, transport, telecommunications, healthcare, as well as banking and ﬁnance. However there is no universally agreed definition in place – each country defines it based on national priorities. Many countries have national strategies for protecting their critical infrastructure from and natural and man-made risks. Increasingly, cyber-security is of concern in protecting any of these infrastructures. 2. How does critical infrastructure differ across the globe? The access and availability of critical infrastructures, such as energy, is essential for development but varies significantly among countries. For example, a German citizen on average faced power outages of around 15 minutes per year in 2015 while Nepali citizens had to deal with 26 complete system collapses and up to 91 hours without supply per week during load shedding in the fiscal year 2015/16. However, major disruptions can occur even in countries with highly reliable infrastructure systems. This could be seen in Germany in 2005 when a severe snowstorm in Münsterland area left 250,000 people without electricity for a maximum of six days. Rural areas are more prone to outages and restoring infrastructures may take longer. Outages in urban areas, however, tend to impact more people and have the potential to cause higher economic losses. 3. What is a critical infrastructure failure? What happens when critical infrastructures fail could be seen last month in Puerto Rico when the island was hit by Hurricane Maria. 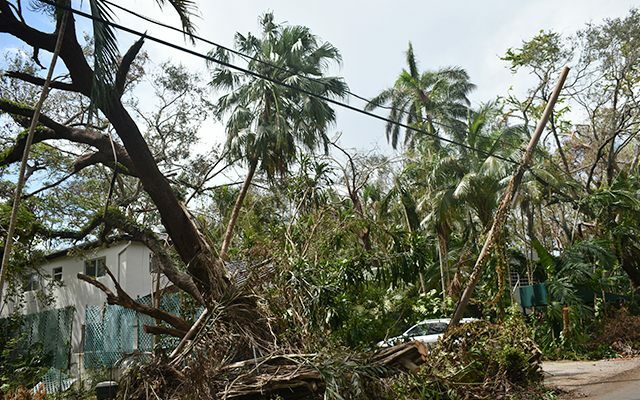 The storm left most of the island without electricity, which soon led to other problems, such as a lack of clean water, refrigeration, and difficulties providing proper medical care, to name just a few. 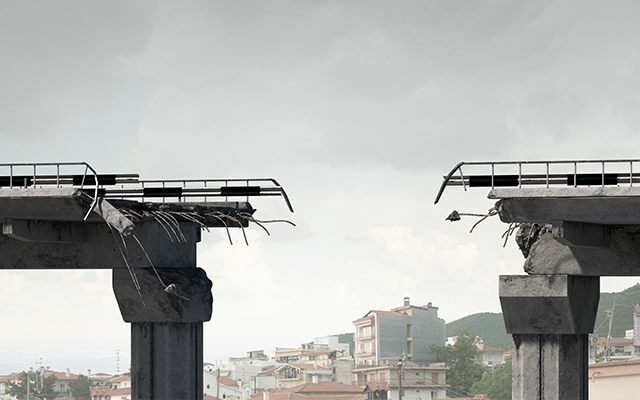 When critical infrastructures fail it disproportionately affects socially vulnerable populations. Almost half of the victims of Hurricane Katrina were elderly people, for example. Previous disasters like Hurricane Sandy have also shown that for patients stuck at home, who rely on timely medication or electrical devices, the situation can quickly become critical if road access and power supplies are damaged. Considering the special needs of different societal groups is crucial for emergency care. 4. 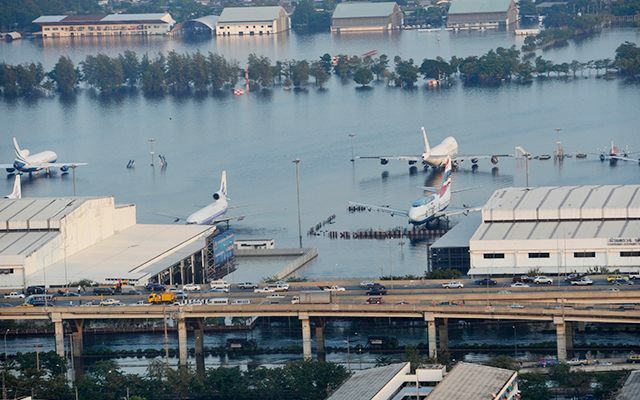 How does critical infrastructure relate to disaster reduction? The availability of infrastructures is crucial for timely recovery after a disaster induced by natural hazards. Maintaining or quickly restoring road access, drinking water supply or healthcare can save lives. Very often disasters are exacerbated by poor infrastructure. The number of fatalities after the 2010 Haiti earthquake, for example, was so high in part because of the weak infrastructure due to poor economic conditions. Preparing critical infrastructures, as well as the population, for long-term outages due to natural hazards is crucial. 5. How can people prepare for critical infrastructure failure? Relying exclusively on government support in case of a prolonged outage of water, energy or other infrastructures may cause harm. Preparation – in form of water and food supply or by stockpiling needed medication – is therefore recommended even in countries where outages are an exception. Cases from various disasters have also shown that community preparation and cooperation are powerful tools that can contribute to reducing vulnerability when critical infrastructures fail. An example of what you can do to prepare an emergency kit at home can be found here. UNU-EHS is part of a transdisciplinary consortium under the leadership of TH Köln University of Applied Sciences that has recently launched a research project called CIRmin – Critical Infrastructures Resilience as a Minimum Supply Concept. Going beyond critical infrastructure management, CIRmin specifically focuses on the necessary minimum supplies of the population potentially affected in case of infrastructure breakdowns due to extreme natural hazard events. To assess the specific vulnerabilities of different societal groups to such breakdowns and the related minimum supply demands UNU-EHS is carrying out a household survey in the Cologne area in Germany. More information about the project can be found here and here.